Meet your new favourite jeans. 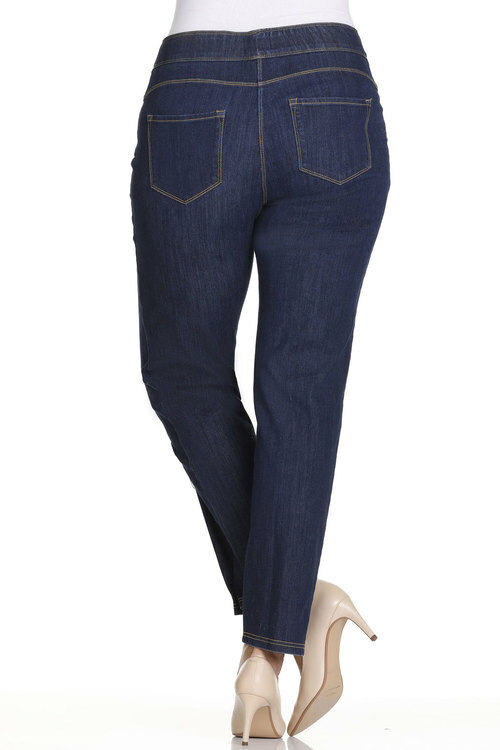 Crafted from cotton-rich stretch denim to ensure the perfect fit, Sara's Elastic Waist Straight Leg Jean will slim and smooth your shape for a flawlessly flattering fit. Slim Fit – Designed to fit close to the body. These versatile jeans will take you from work to the weekend and day to night. We’ll be wearing ours with a chunky heeled sandal and a printed blouse for a dressy casual look.